When a person has suffered severe heart trauma due to the negligence of a medical professional, it is important to seek representation from a catastrophic injury attorney. Heart disease isn’t just the number one killer in Hawaii. It remains the leading cause of death throughout the United States. There has never been a greater demand for talented heart surgeons. But there is another troubling trend among medical professionals–the rising number of botch heart surgeries. 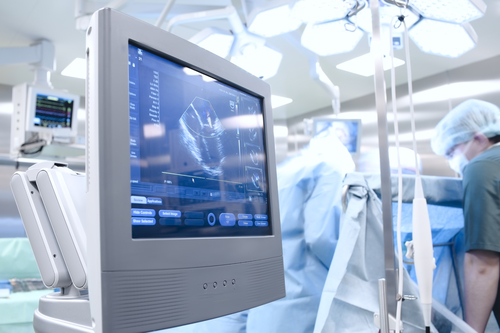 Because there is a high degree of difficulty involved in these procedures, it only takes one small medical mistake for a patient to lose the life to heart trauma. But what can be done? How can the system become better? Due to its delicate and complex nature, heart surgery is unlike most types of medical procedures. Even the best physicians performing with the best equipment under optimal conditions cannot prevent some complications from occurring. Too often, these complications can result in severe illness and even death. It is important not to paint a broad brush when it comes to failed heart surgeries. Just because a surgery was not successful does not mean the surgeon was negligent. However, there are many botched surgeries that are the result of serious errors. Here are just a few. This common type of heart procedure consists of inserting a surgical balloon to unblock obstructed veins and arteries. But if the balloon is overinflated, it can result in the release of plaque into arteries that can cause death. Although this is not technically a surgical procedure, administering the wrong blood type to patients during heart surgery can be fatal. A defective lead from a pacemaker can bring devastating results. It is vital for doctors to comply with the appropriate standard of care when inserting and removing leads and other objects from the heart. Heart surgeons are some of most highly trained physicians in the medical industry. But just one wrong incision can bring disastrous results. Some of the most fatal medical mistakes occur before and after surgery. Not all botched heart surgeries result in death. Many patients are forced to live the rest of their lives with dangerous cardiac conditions as a result of heart trauma. These conditions are life-altering and often require medical care for the remainder of the patient’s life. When a person has suffered severe heart trauma due to the negligence of a doctor, nurse or medical professional, it is important to seek representation from a catastrophic injury attorney that can protect the rights of your loved one. For more than 25 years, Jed Kurzban has devoted his professional career as Hawaii catastrophic injury lawyer to protect the rights of those who require permanent medical attention and assistance. Over the years, he has successfully represented men and women to help them recover the compensation needed to live a good overall quality of life. Kurzban utilizes a comprehensive and compassionate approach to help clients achieve the best possible result. To learn more about how a Hawaii catastrophic lawyer can help, schedule a consultation to discuss your case.